1521 Second is proud to have staked a claim in one of the nation’s top 10 neighborhoods – Pike Place Market, not even necessarily considered a “neighborhood” by most Seattleites, was recently awarded that distinction. There is a plethora of things to do within walking distance, history and functionality, the American Planning Association was sufficiently charmed to bestow the honor. 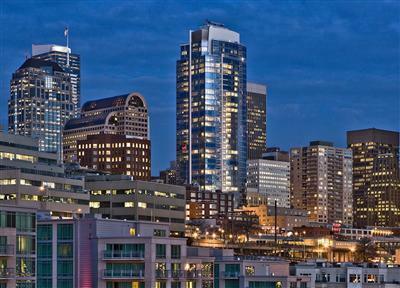 1521 is one of Seattle’s premier luxury buildings. Amenities include lounge rooms, a yoga/pilates center, high-speed elevator, business center, concierge, children’s playroom and a rooftop deck that, at 400 feet in the Seattle sky. Finishes feature 8′ solid interior doors, motorized bedroom blinds, custom cabinetry, slab granite counters and self-closing drawers. Appliances include Bosch washer/dryers, Wolf ranges and microwaves, Sub-Zero refrigerators and Miele dishwashers. Residential homes on floors 7-38. Each floor has 3-5 units – five toward the base, four in the middle and three at the top. What type of condo are you interested in?